Kristine Engels is the current Chief Executive Officer of Life Steps Foundation affiliate Life Steps Foundation, Southern California Adult Services located in Long Beach, CA. She oversees over twenty programs that provide services to various disabled populations and serves clients from seven different regional centers. 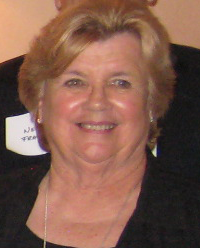 Ms. Engels has amassed over 40 years of experience helping children and adults who have developmental disabilities. Her career began in 1968. Working as a volunteer for the Fairview Developmental Center, Ms. Engels planned recreational outings for the women who lived there. Intuitively, she knew she had found her niche. “It was like an epiphany. I knew I belonged here.” Nor would life events counsel her any differently. With the birth of her son, who had physical and learning problems, Ms. Engels’s interest in and empathy for the developmentally challenged populations she served grew even keener. No challenge was insurmountable. For example, when a beach outing was threatened with cancellation because of insufficient staff, Ms. Engels enlisted the help of neighbors and friends for support. Her consummate initiative and strong work ethic inevitably led her to accept offers as chair and member on several committees. She currently sits on three committees with Harbor Regional Center: Service Provider Advisory Committee, Client Service Committee, and HOPE Board of Directors. In collaboration with Harbor Regional Center, Ms. Engels also developed the Harbor Friendship Center, a facility where adults with developmental disabilities can meet and participate in positive, meaningful, safe social experiences. This social program has become the model for other social services agencies to follow. Ms. Engels’s education, both on campus or out in the field, have made her the superlative CEO of Adult Services at Life Steps Foundation. From Girl Scouts leader to assistant teacher, from volunteer to committee chair, Ms. Engels has proven countless times to the people she serves that her instincts were good—she did belong in social services, doing exactly the work she does now.